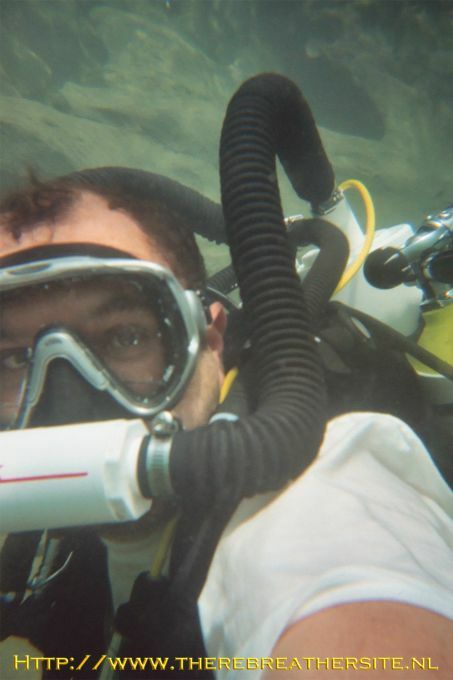 "If You Can't Build A Rebreather, You Shouldn't Dive A Rebreather." It is with great pleasure that the CEDU Recognize and Present the "Honors of the Association" Award to the following individual for outstanding achievement in the Design, Construction and Use of HomeBuilt Closed Circuit Rebreathing Apparatuses. 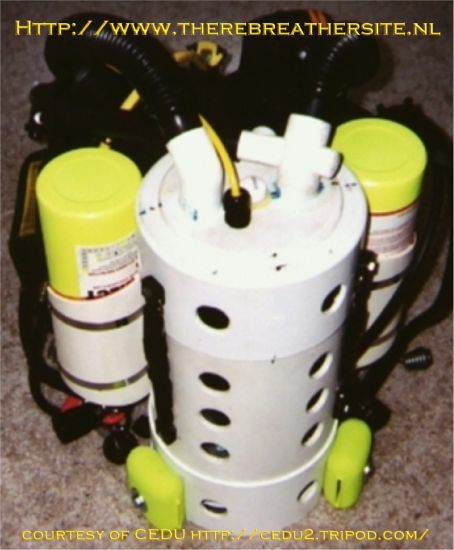 This award was a reason to contact Stan Hessing about his home build rebreather. 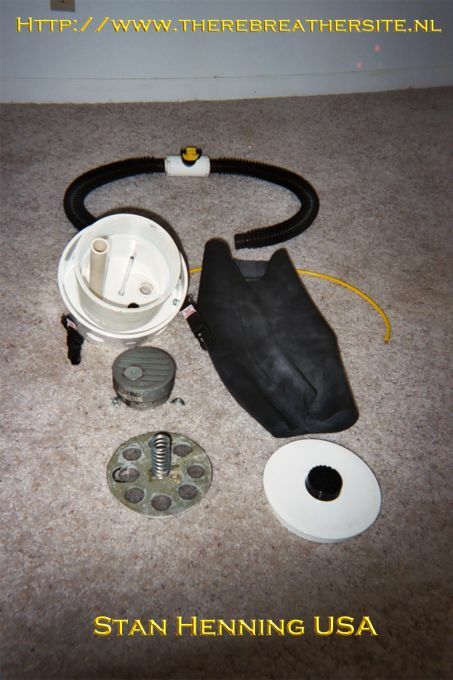 Stan build a MCCR (manual controlled closed circuit rebreather) completely from off the shelf parts, mainly sewer pipes and car tyres. I am very pleased with his permission to add this unit to my homebuilder section. Thanks Stan! 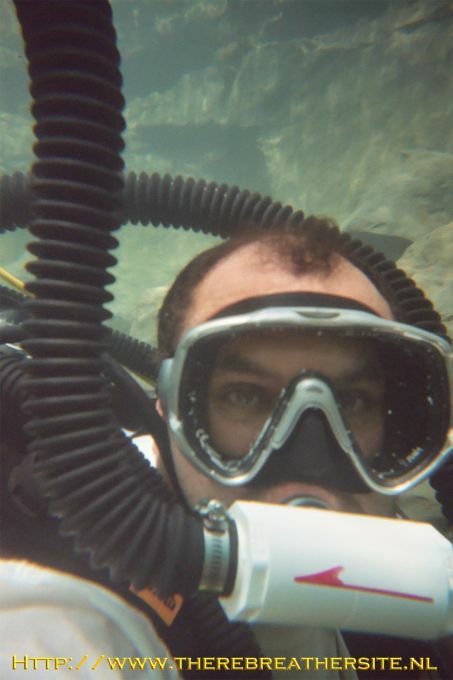 I had to call and irritate the dive instructor Bob Mosbarger daily until he finally consented to let me in the class at my young age. 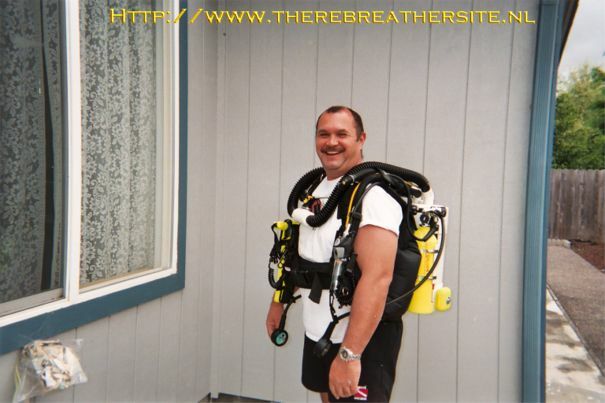 Back then age was an issue I have never stopped being fascinated with diving and diving equipment in the thirty years that have followed. 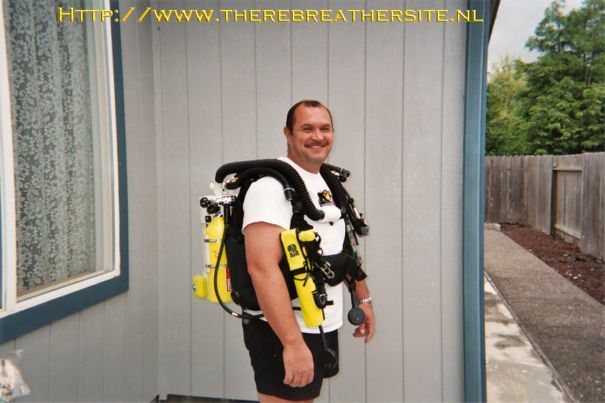 So building my rebreather was just the next challenge and opportunity to grow in the sport. 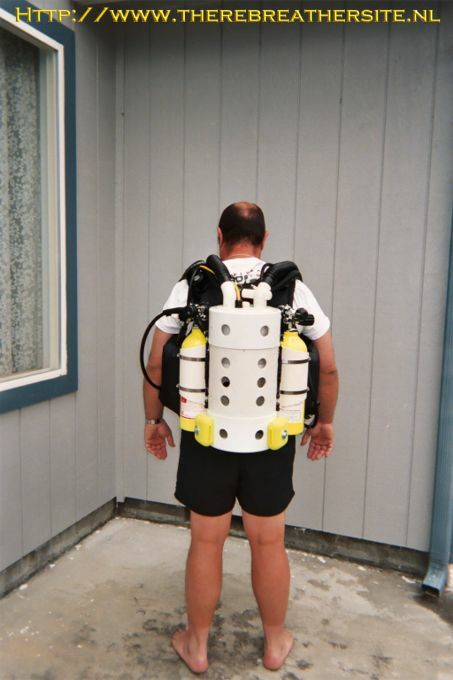 I designed mine specifically for the type of diving I enjoy Forty to fifty feet and with plenty of bottom time. You should have seen the look on their faces as I went back over and over again in what seemed to them to be unrelated purchases...LOL! 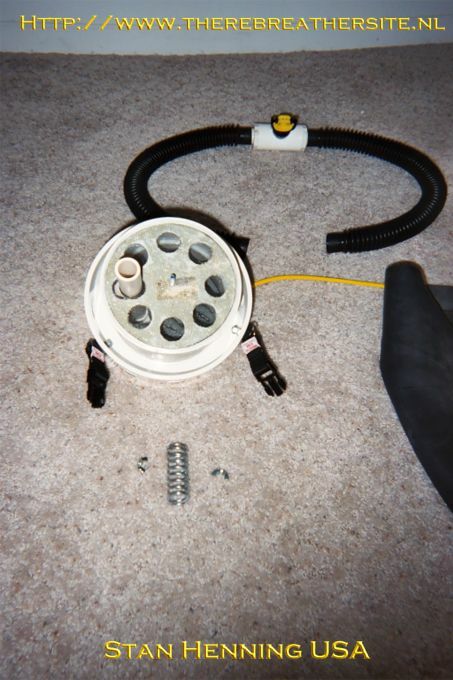 The hoses from the addition valves to the loop are just BC inflation hoses that are attached to modified BC inflation valves. 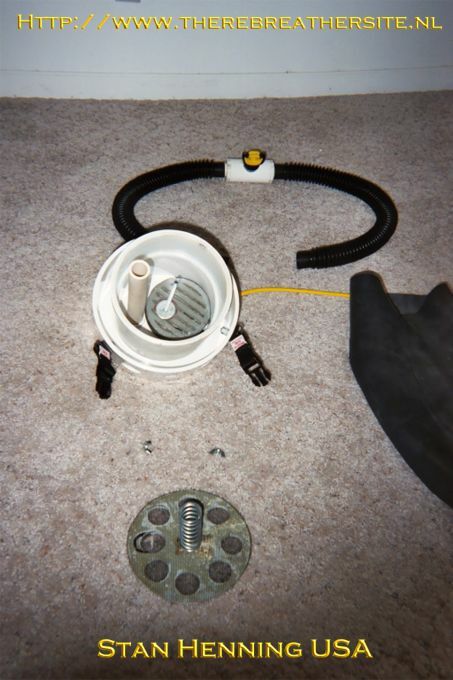 I used two first stage regulators from open circuit rigs to cut the initial pressure from the tank down to the loop. I went to the local welding supplier and bought two welding respirator masks and took the check valves from them then used more PVC plumbing to manufacture my mouthpiece. 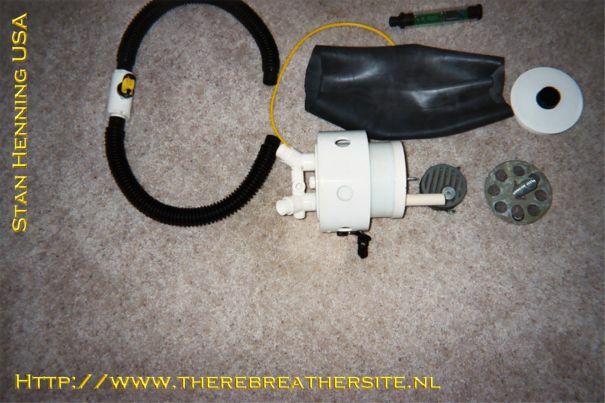 I bought the breathing hoses from Pat at Oxycheck. Here is amore technical description of the unit, complemented with some decisions made during the design phase. I had some challenges with the actual construction.....I found that just using PVC glue in the conventional manner was a guarantee for leaks.....So I developed a way of gluing.....allowing to dry and gluing again over and over again that .....at least so far.....has provided strength and is water proof......and of course there seemed to be an extended period of time waiting for the glue to outgas. Stan; Thank you for your contribution to my website!